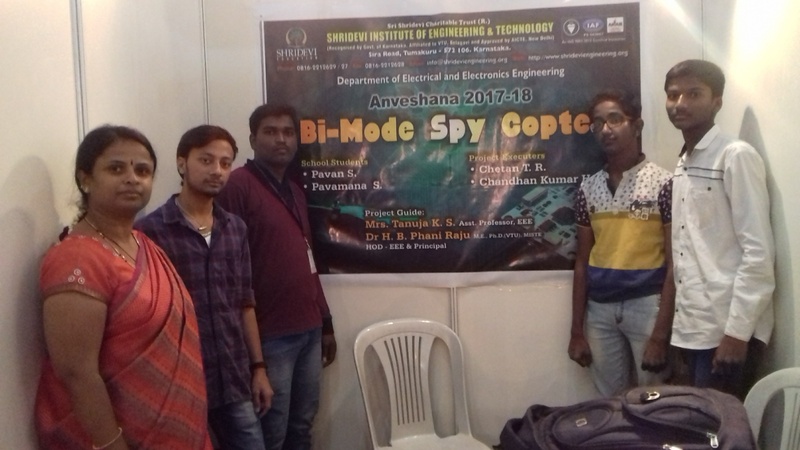 “Bi-Model Spy copter” Project was developed and exhibited by Students of EEE – Chethan T. R. and Chandan Kumar H. S. under the guidance of Prof. Tanuja K. S. at ANVESHANA 2017-18 the Engineering Students PROJECT EXHIBITION organised by AGASTYA FOUNDATION at shikshaka Bhavan, Banglore on 26th February, 2018. The Project was awarded as one of the best project. 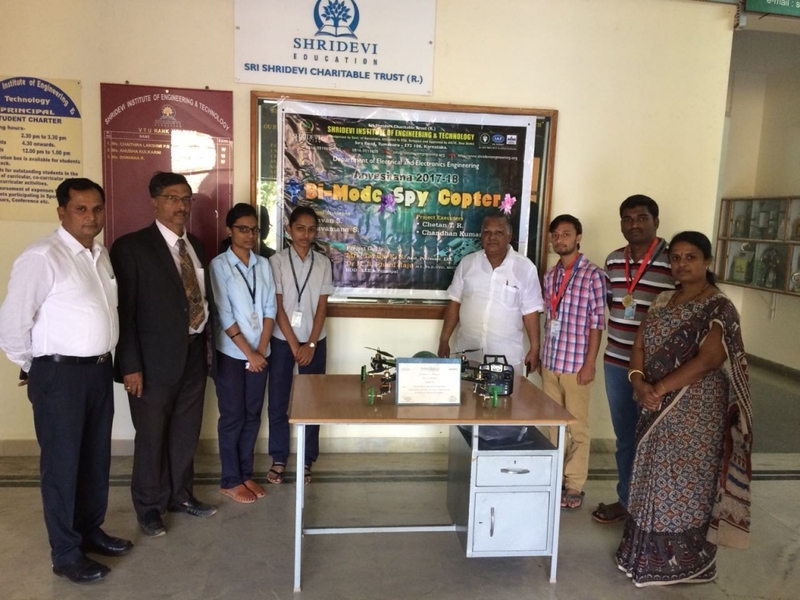 The project was also got appreciation by our Hon’ble Chairman – Dr. M. R. Hulinayakar, Vice Principal & Hod EEE – Dr. H.B Phani Raj, Dean R&D – Dr. C. P Chandrappa.